Lloydz recommends the 11.0:1 compression ratio for almost all our builds. The Freedom motors easily take 11.0:1 compression and more without pinging or overheating, even in the southern States such as Florida and Texas. As with ALL builds, an experienced builder and proper tune are the best ways to achieve maximum power. 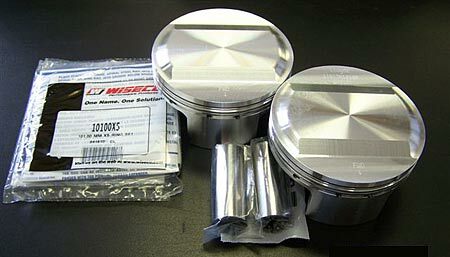 *Lloydz pistons, when combined with the S&S Stroker kit will increase compression by .4 (ie, 11:1 will then be 11.4:1).